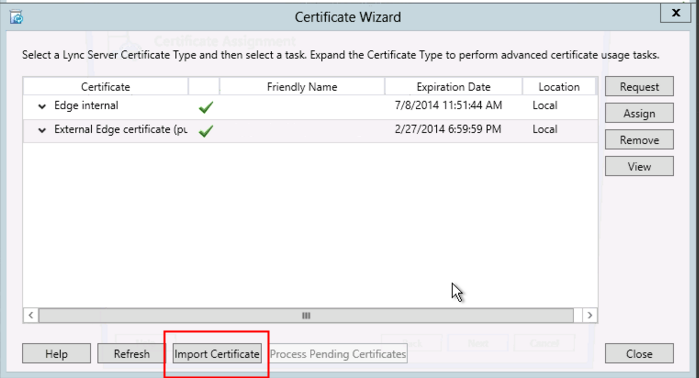 Choose External Edge Certificate and click Import Certificate. 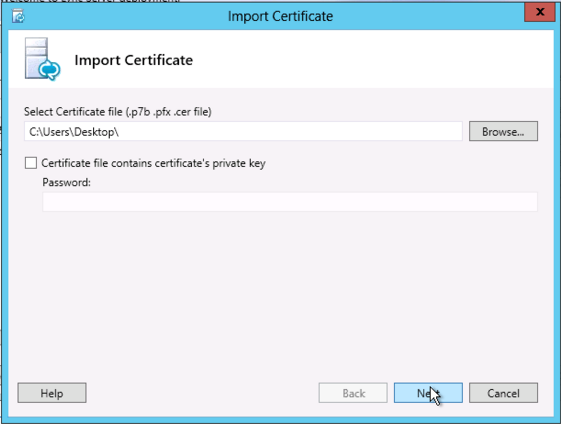 Use the Browse button, and locate your certificate file (will be .pfx if you used DigiCert Windows Utility. 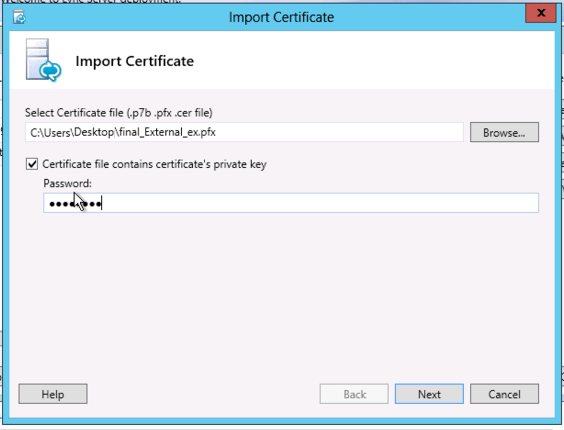 If using a .pfx file be sure to check the Certificate file contains certificateâ€™s private key checkbox). (Will be .cer if you use the Lync interface to create the CSR). On the Summary page verify your information is accurate and click Next. 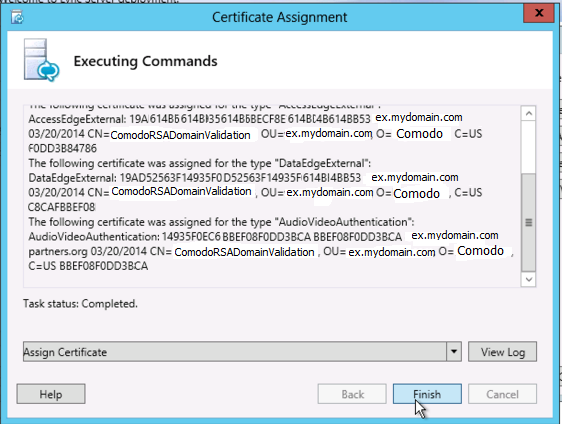 On the Executing Commands page ensure Task Status is completed, and click Finish. 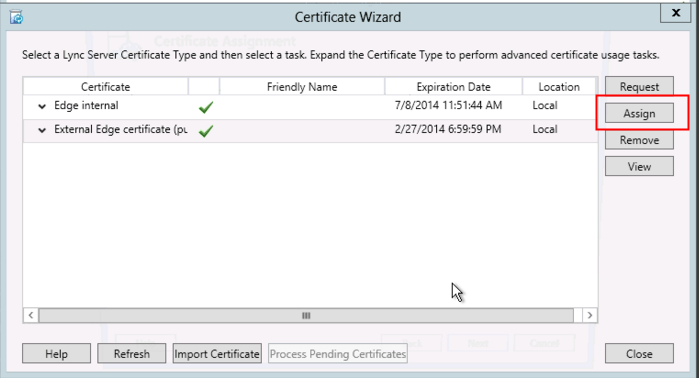 When returned to Certificate Wizard main page, click on External Edge Certificate, then choose Assign. 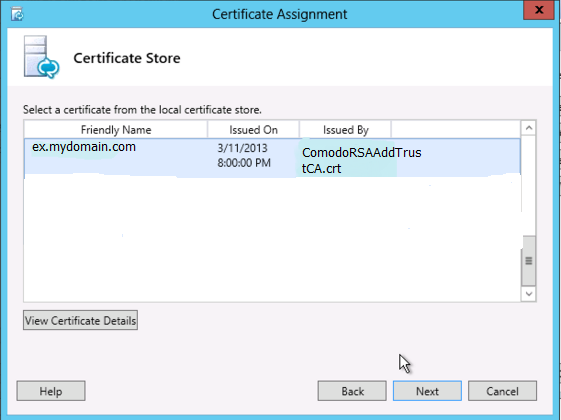 On Certificate Store you can choose Next, or view the certificate if youâ€™d like to verify youâ€™ve installed the correct certificate. On Executing Commands page ensure Task Status shows completed, then click Finish. 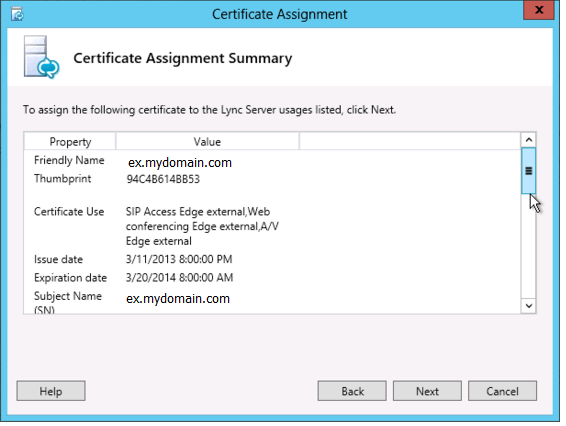 To verify your certificate has been properly installed, look at the status column to ensure the External Edge Certificate is showing Assigned. Your certificate has been installed. 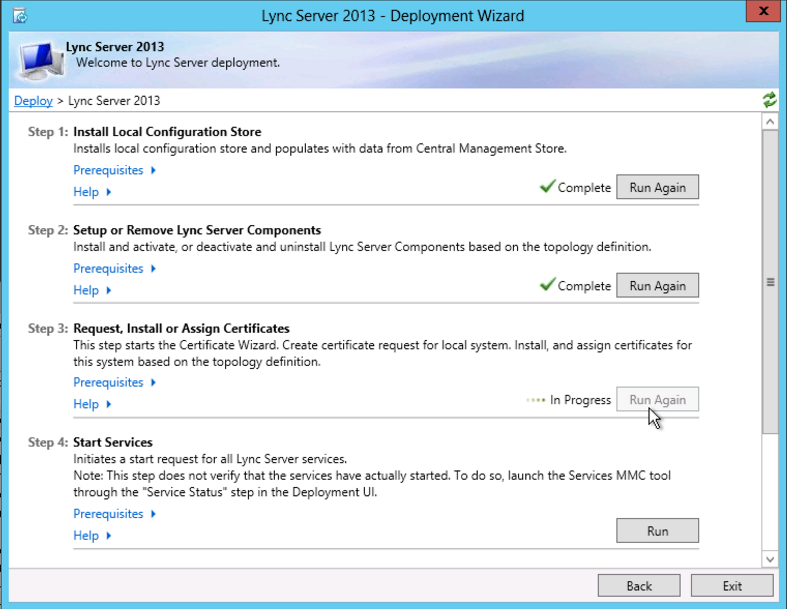 If you've already created a certificate on another server, use the following instructions to import the certificate in a .pfx format to Lync 2013. 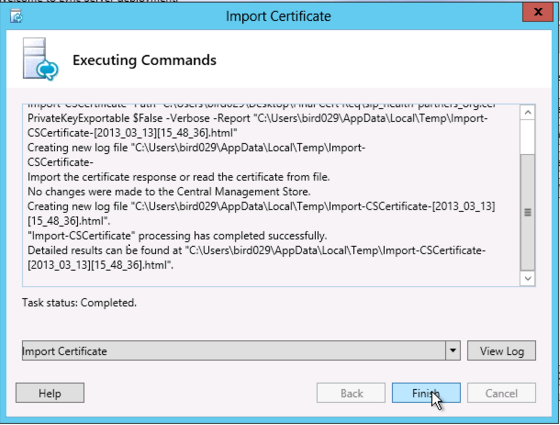 Select External Edge Certificate and click Import Certificate button. Choose the PFX file and enter the password. Walk through the rest of the wizard.